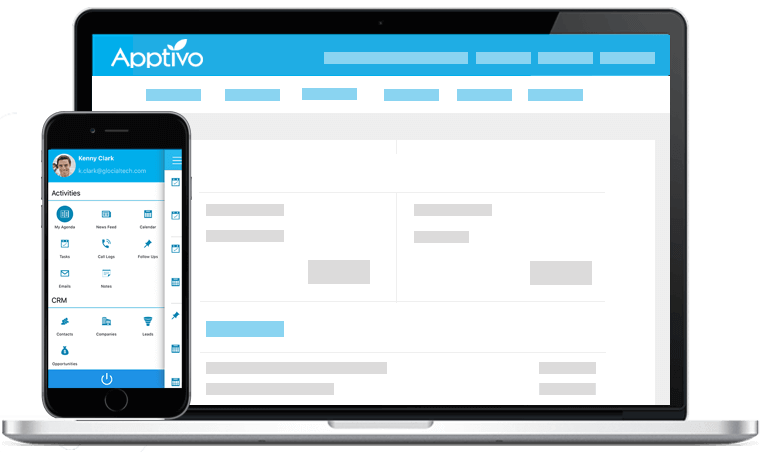 Manage an unlimited number of vendors, purchase orders, and items at one time using Apptivo Purchase Orders. It helps you in tracking the suppliers, indicating types, quantities, and agreed prices for products or services. 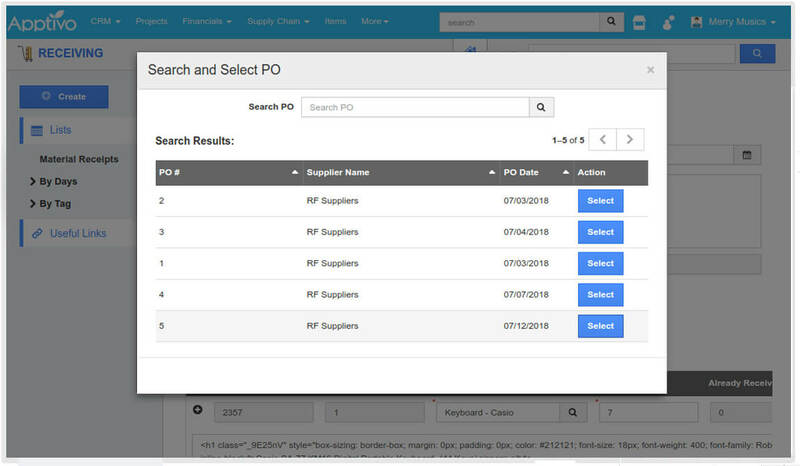 You can print, send and duplicate Purchase orders saving data entry time. 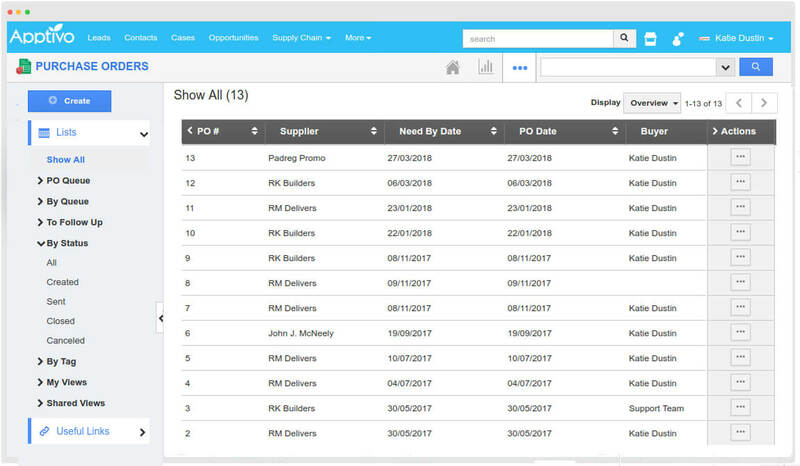 Leveraging Apptivo's CRM capabilities, get a 360° view of supplier activities & communication history. 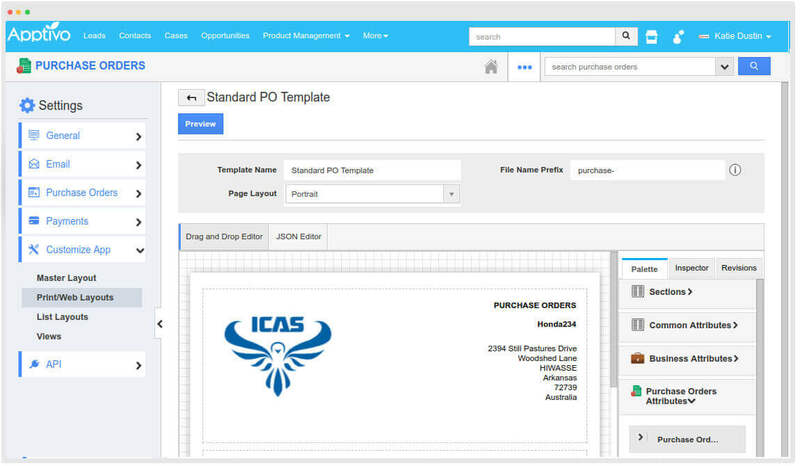 Instantly see a list of all products a vendor carries, and a list of past purchase orders & supplier invoices. After purchasing your supplies, generate a receipt from the purchase order to make new inventory available for customer orders. A simple drag-and-drop invoice template builder to generate professional PDF invoices to send to your customers. Choose your own fields, upload a business logo, and much more. 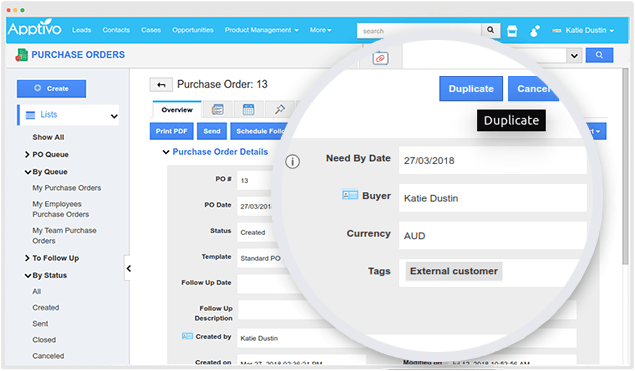 Tired of creating multiple Purchase orders with same supplier and buyer, Apptivo helps you with Duplicating the purchase order many times as you need. 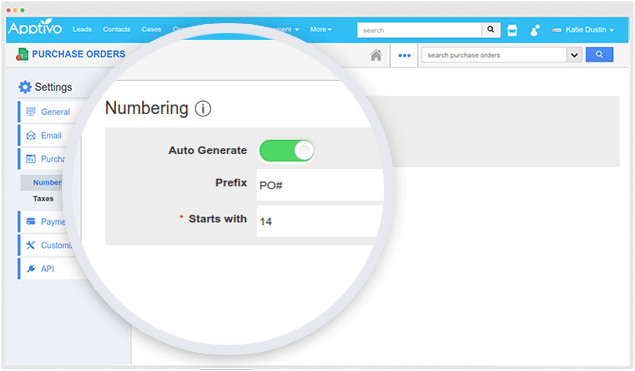 Provide your created Purchase Orders with numbers so you can search it instantly when needed. Customize it according to your wish. Set up your tax codes for your products or services required. 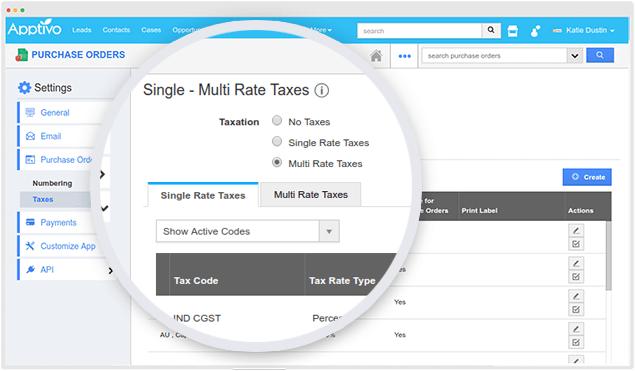 Create a purchase order with tax included and send it to your customers. 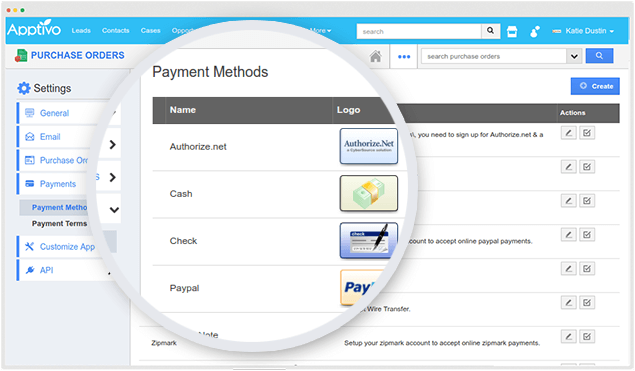 Choose your needed payment methods by which you can make payments. Not satisfied with it, then create your payment method and approve it. 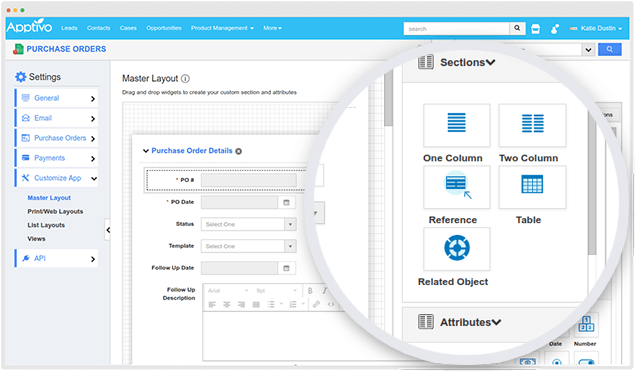 Create your own layout of your Purchase order app page with more customizations and more fields as needed for your business.